Jenny Talks: Scooter Fun !! 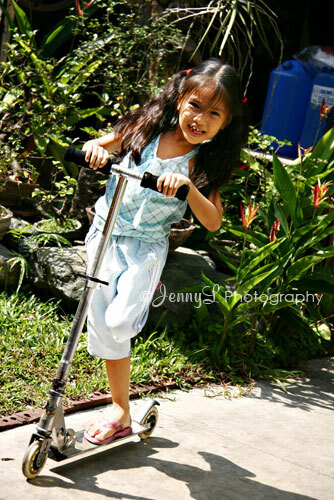 My niece Reign was in a good mood this afternoon and was kind enough to let me take a photo of her while playing with her scooter. She just came from Quaipo with her dad because she bought DVD of Barbie Thumbelina cartoons and another compilation of cartoons that she asks me to give her. She got what she wanted that is why she is all smiles.